Love it or hate it, the holiday season is upon us, which means, for many, it's time to stress about that gift-giving list of friends, family, teachers, helpers, etc. I stressed so hard this year that I'm nearly done with my list! I absolutely hate leaving things to the last moment, especially when it comes to gift-giving. For one, I want to get those I love something they'll love and, for another, I don't have the money to waste on last-minute, frantic shopping expeditions! If you're like me and want to get your shopping done now so that you can actually enjoy the holidays, let me present you with a few Positively Present-themed gift options that are sure to delight your loved ones! Whether you're looking for a simple print, a beautiful canvas, or a framed work-of-art, they're all in my shop, ready to be shipped for perfect gift-giving. Also, I'm planning to switch up some of the prints in the shop in the new year so if you don't want to miss out on anything that's currently there, you'll want to shop now. The 2019 Every Day Matters diaries are flying off the shelves this year so if you're looking for a great gift for someone who loves to stay inspired and organized all year long, this is perfect! 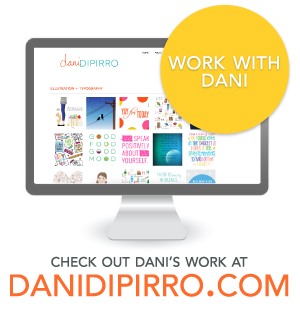 (It's also a perfect gift to treat yourself with for all of your hard holiday shopping work!) The diary is available in both desk and pocket sizes so it appeals to a variety of users. I personally use my desk-sized one as a year-long gratitude journal, and I love it! Is there someone on your list who could use a bit more inspiration, positivity, and self-love in their life? Look no further than The Positively Present Guide to Life! This book is packed with insights, activities, and uplifting content to motivate and educate, and is sure to be useful to anyone who wants to learn more about living a positive, present life. Available in paperback or hardcover, it will surely help whoever receives it as a gift end the year (and begin 2019!) on a more positive note. If you're looking for the perfect stocking stuffer or add-on gift for someone you love, you'll find it in one of the four Effortless Inspiration books. Focusing on a single topic -- Gratitude, Living in the Moment, Forgiveness, or Compassion -- each book is filled with beautiful quotations, thought-provoking ideas, and even suggested activities for the reader to have a better understanding of what each of these topics really means. Not only are these little books filled with wisdom, they're also beautiful too! 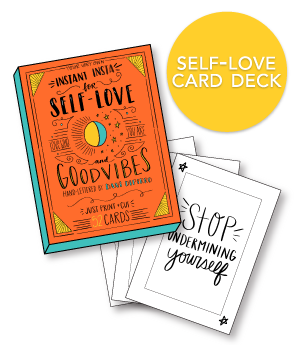 For those who want some interactive, digital gift-giving ideas, check out the Loving Yourself workbook, the Finding Yourself workbook, or the Self-Love Card Deck! These are perfect for those who love to work on tablets and prefer digital content to tangible gifts. They're also excellent last-minute gifts since you can simply send a link or print them out and gift them right away! If you know someone who loves Positively Present (or just loves supporting creators in general), a subscription to my Patreon page might be a wonderful gift! There are a variety of different tiers, each with their own unique benefits, and signing someone else up for a subscription is a great way not only to give them exclusive access to a creator they love, but has the added bonus of supporting my work as well! Learn more about Patreon here. BONUS! USE THE AMAZON LINK! I hope this little round-up of holiday gifts sparked some ideas -- or at least inspired you to start shopping now so you can enjoy the holiday season with those you love instead of searching or scrolling frantically for the perfect gift at the last minute. Gift-giving should be a joyful experience, but it tends to lose its appeal when it feels forced or frantic, so start now and you'll feel sooo good when everything is all done! Happy shopping!